Pour-Over Operation – NO Plumbing Required. 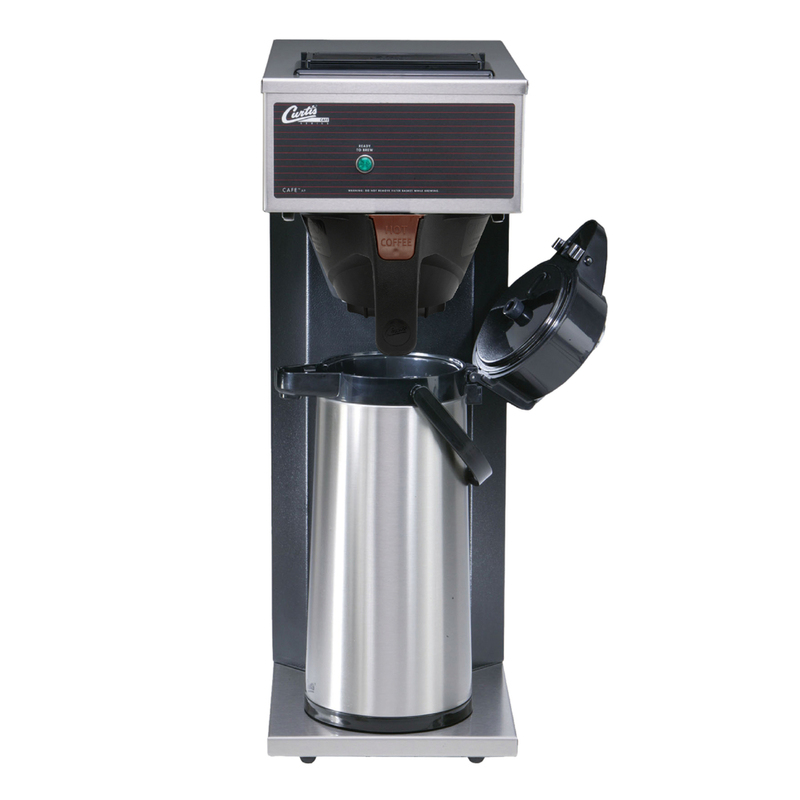 Powerful Heating Element Provides Quick Recovery for Faster Brewing. Large-Volume Water Tank for Greater Brewing Capacity. Stainless Steel Construction with Black Vinyl Coating. Lighted Rocker-Switches Indicate System Functions. 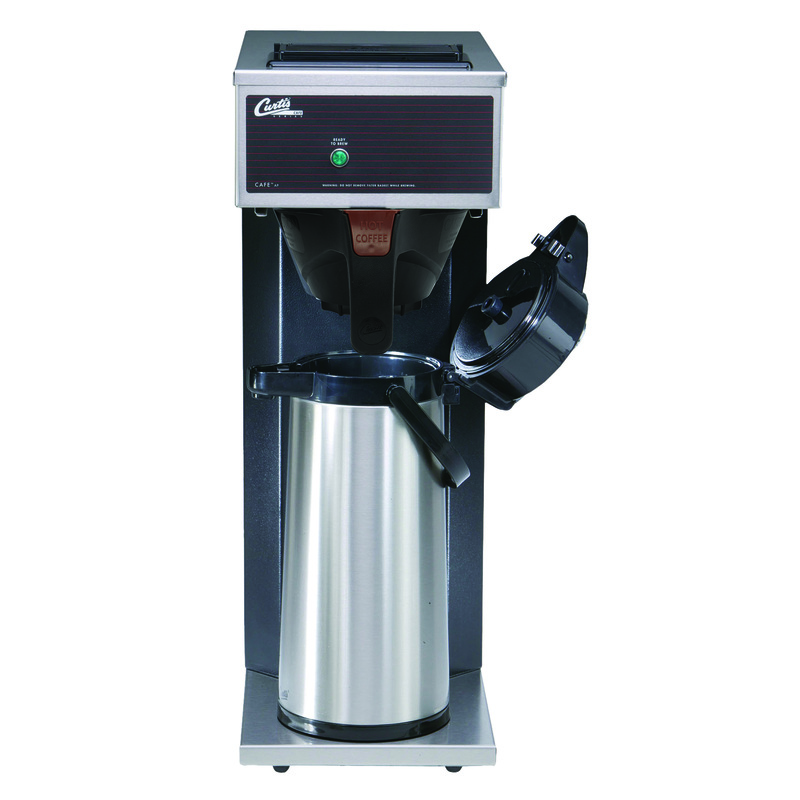 Optional —· Crystalline Glass Coffee Bowls.· ThermoPro Stainless Steel Airpots.· ThermoPro Stainless Steel Servers.